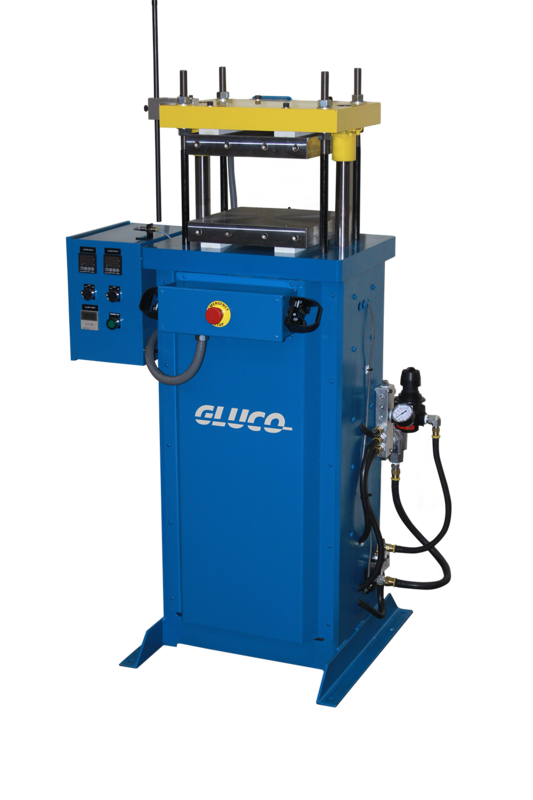 These economical air powered compression presses are a breeze to operate and maintain. 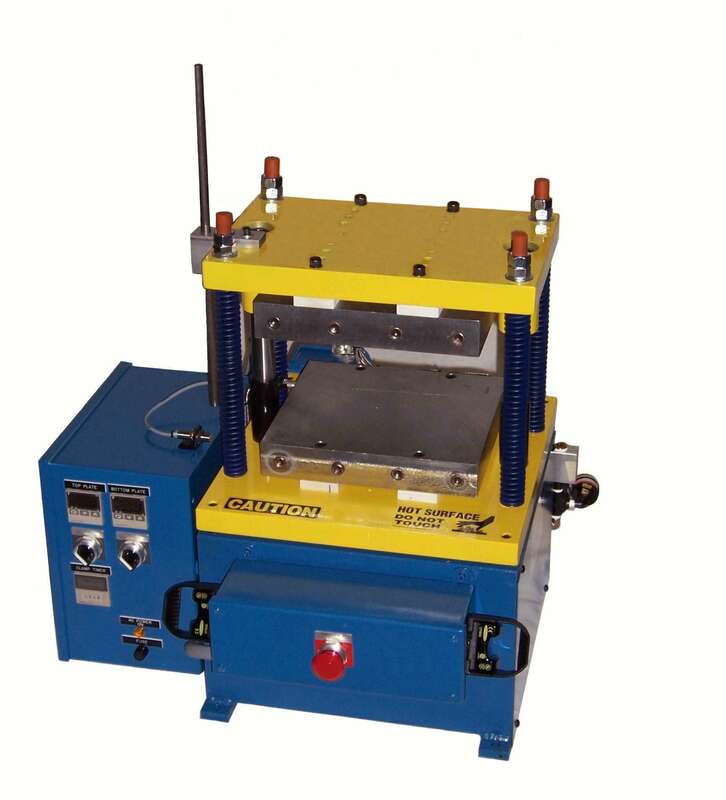 Our 5 and 10 ton bench top presses are great for compression molding rubber, silicone, epoxy resin and other thermoset materials. It is also ideal for laminating work, heat sealing etc. Available with or without heated platens. P.L.C. controlled for “bullet proof” operational sequence. Digital temperature controllers maintain optional heated platens to +/- 1° F.
2 hand anti tie down opto touch buttons for safe ergonomic operation. Digital timer for precise cure time. Available in 110v or 220v single phase. Heated platens with heater cartridges and digital temperature controllers. Liquid silicone injector nozzle with shut off pin.